These layered earrings are a beautiful statement piece and ensure that you stand out with this one-of-a-kind item. The green, blue and purplish hues of the rare and genuine wings are similar to what you would see on a peacock feather and shine whenever you move. Very showy, one of a kind. 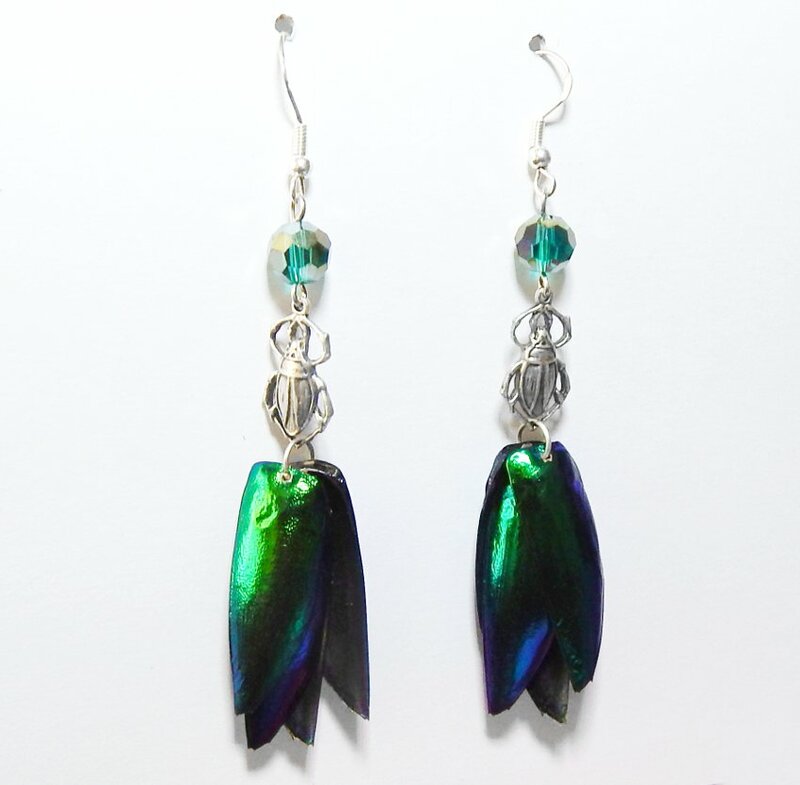 The light weight earrings are topped with a pewter Sternocera charm, Swarovski crystal and are from top to bottom 2 inches long. Sterling silver ear hook.